Marvyn Iheanacho, a Nigerian, has been sentenced to life imprisonment for beating his five-year-old son to death in Britain. Ihenacho reportedly descended on the child for losing his shoe. 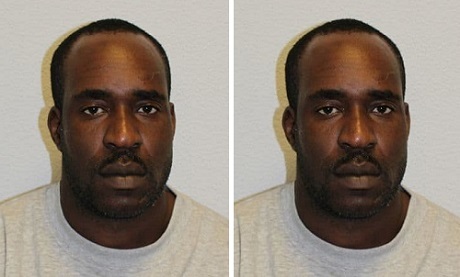 The 39-year-old was found guilty of murder at Woolwich crown court in London on Tuesday. British police said the child had sustained a deadly brain injury and internal bruising on his stomach in the incident which happened on November 20, 2016. A post-mortem examination conducted on the boy later revealed the injuries had been caused by either a kick, stamp or punch. Witnesses said they had heard a male voice screaming about a lost shoe while a child fearfully apologised on the day sad incident occured. “Iheanacho was later seen talking on his phone while a child lay on his back on a bench next to him, a limp arm dangling down,” Reuters quoted police as saying. The boy died in hospital two days later while his shoe was reportedly found in the park by police not long after the assault took place. Tony Lynes, a chief inspector of the metropolitan police, said Iheanacho “subjected that poor little boy to a brutal assault after flying into an uncontrollable rage just because Alex lost one of his shoes”. “Afterwards Iheanacho came up with various stories to try to cover his tracks, insisted his girlfriend lie for him and attacked her when she tried to get medical help for her unconscious son,” Lynes said.